A dog was found this afternoon on Wood between Ohio and Erie. 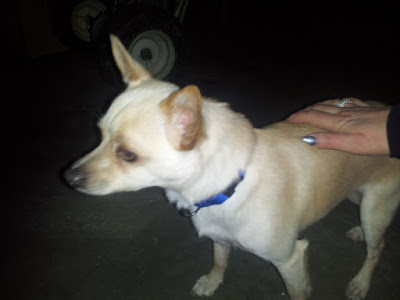 Male, tan, short hair with blue collar and super friendly. He was brought to 13th district (Wood St) and is currently waiting for Animal Control to pick him up. Please help pass along his picture so that maybe we can find his home before he's gone.